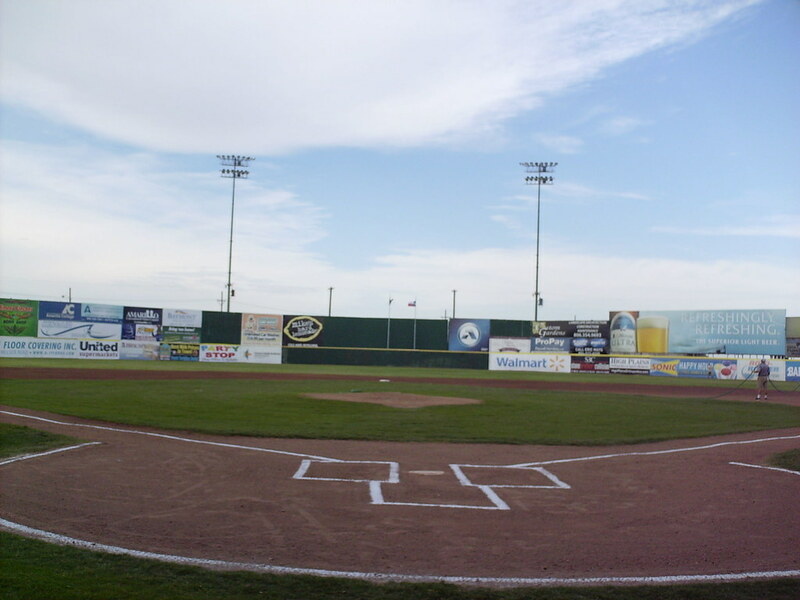 The view from behind home plate at Potter County Memorial Stadium. 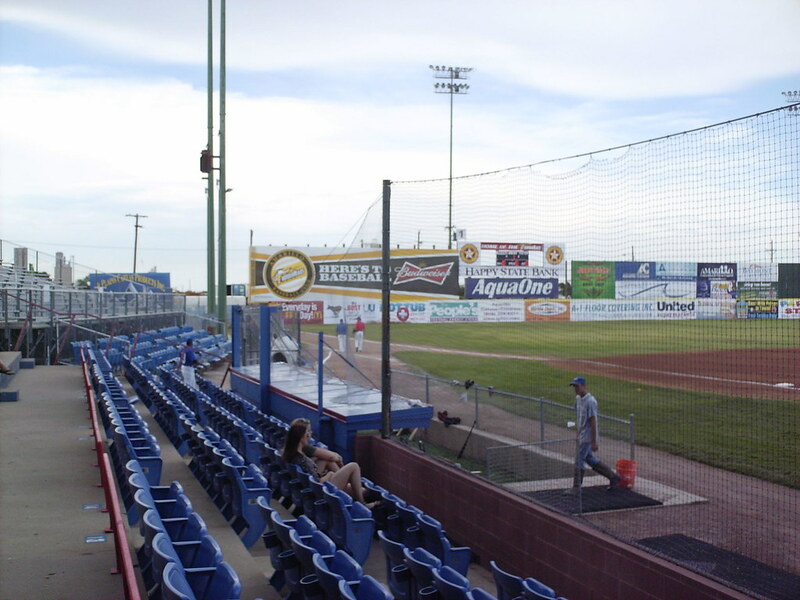 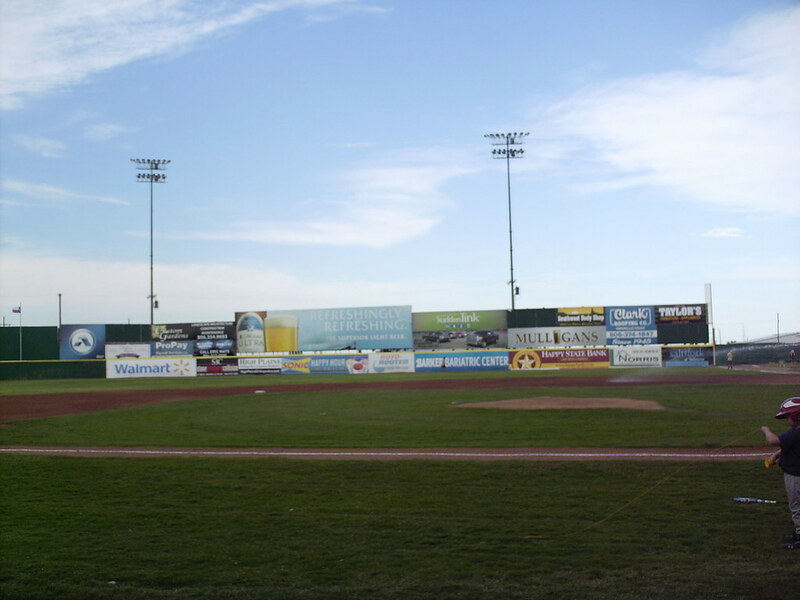 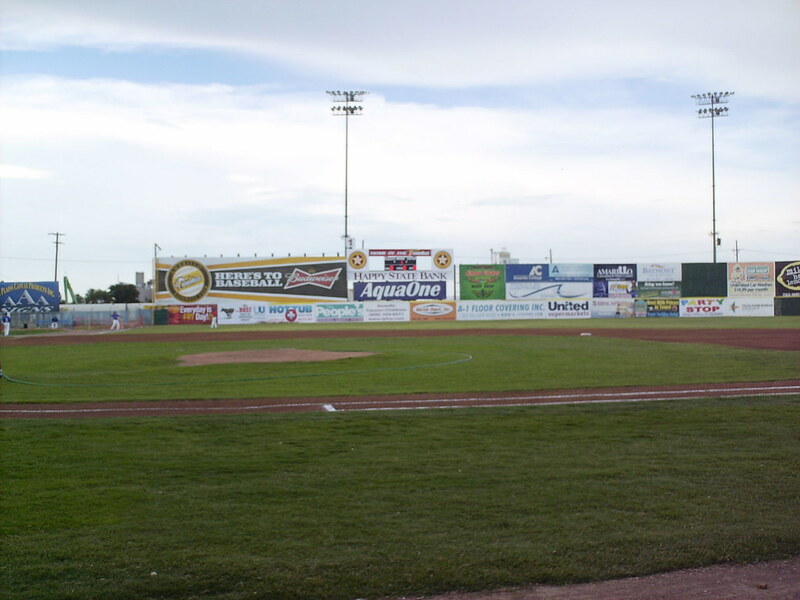 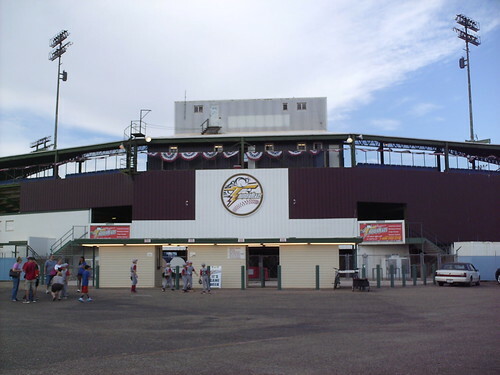 The grandstand at Potter County Stadium, as seen from the left field corner. 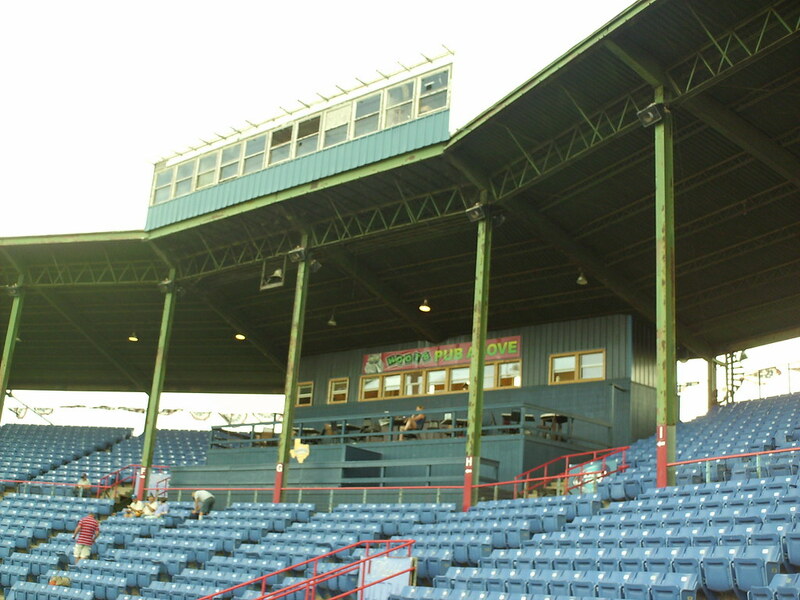 The pressbox is nested up against the top of the grandstand, and the old pressbox sits atop the stadium roof. 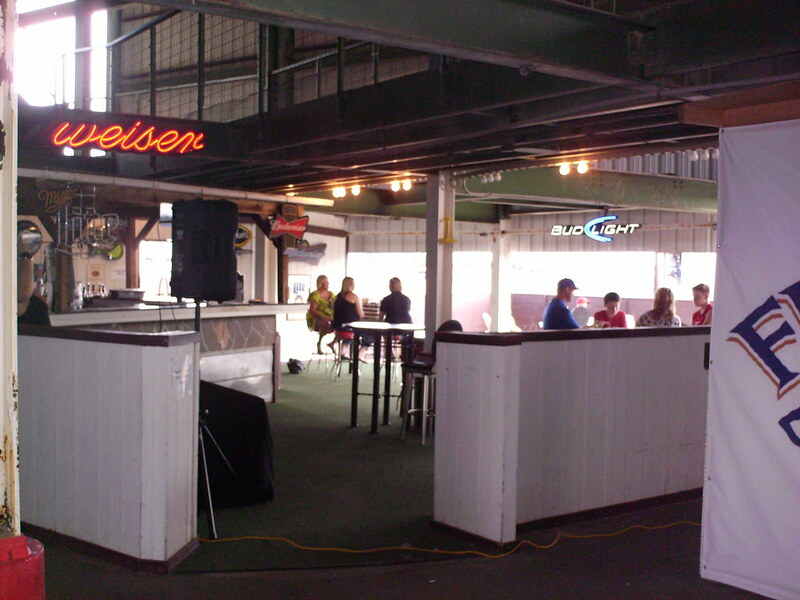 The "Pub Above" outdoor bar area and party deck sits right below the pressbox at the top of the seating bowl. 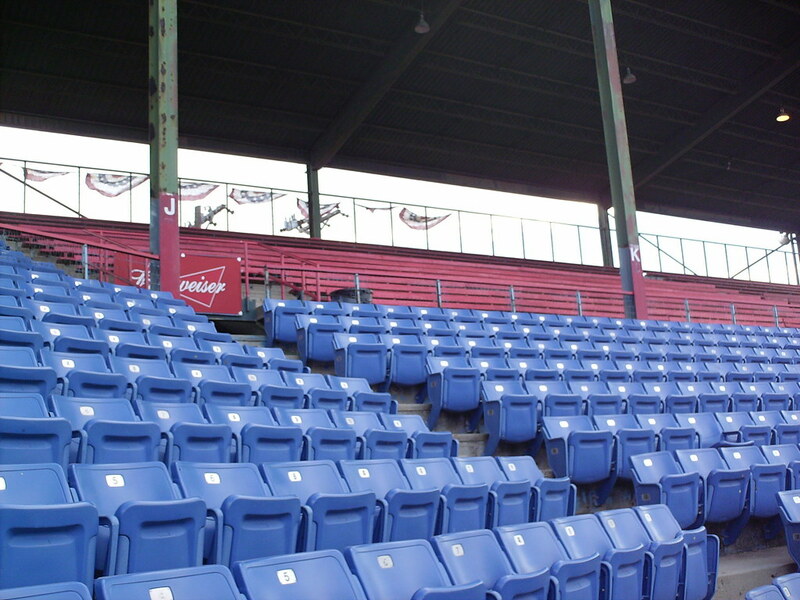 Seating in the grandstand is mostly blue fold-down seating, with wooden bleacher seating above. 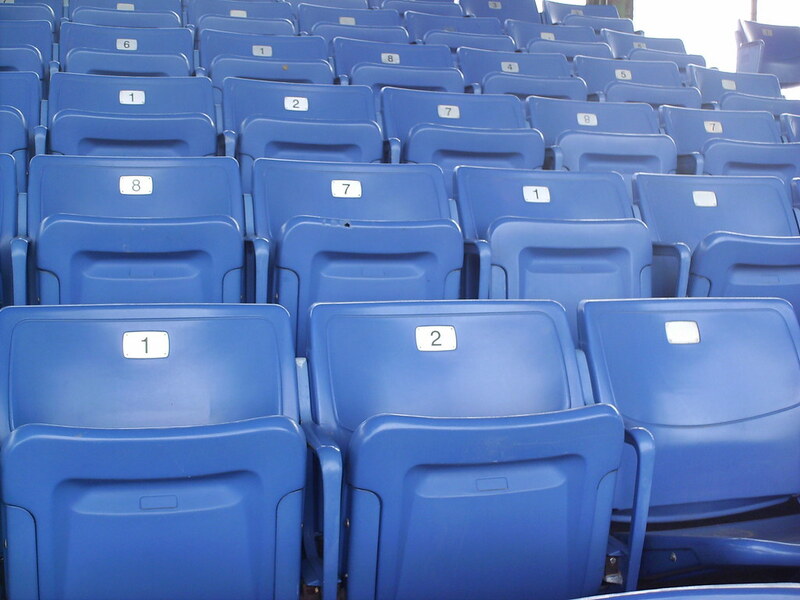 General admission seating areas feature seats installed with random numbering. 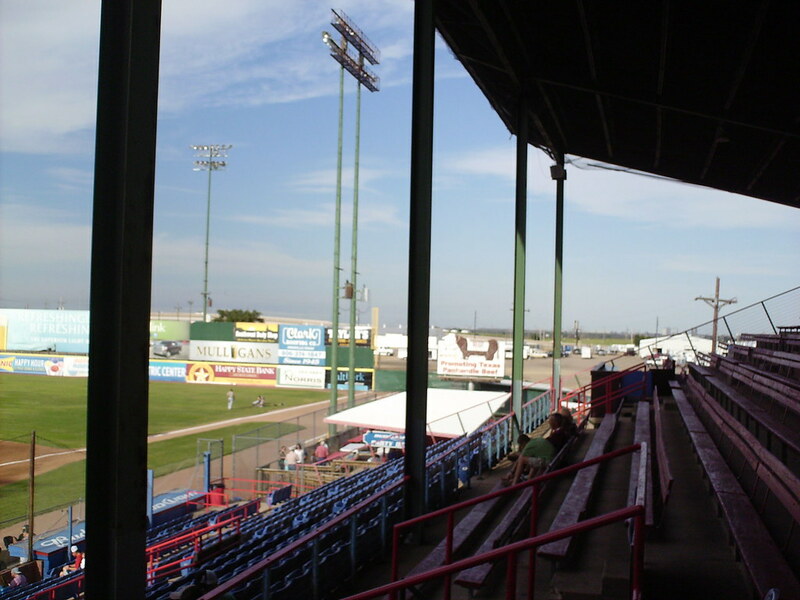 A wooden seating box in the corner of the grandstand, and a billboard behind the seating bowl promotes Texas Panhandle Beef. 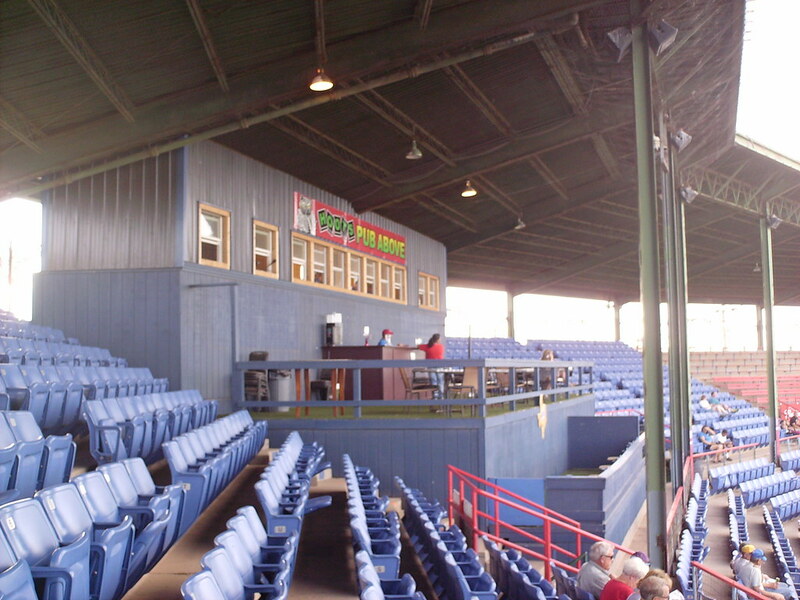 Box seating wraps around the dugout on the third base side. 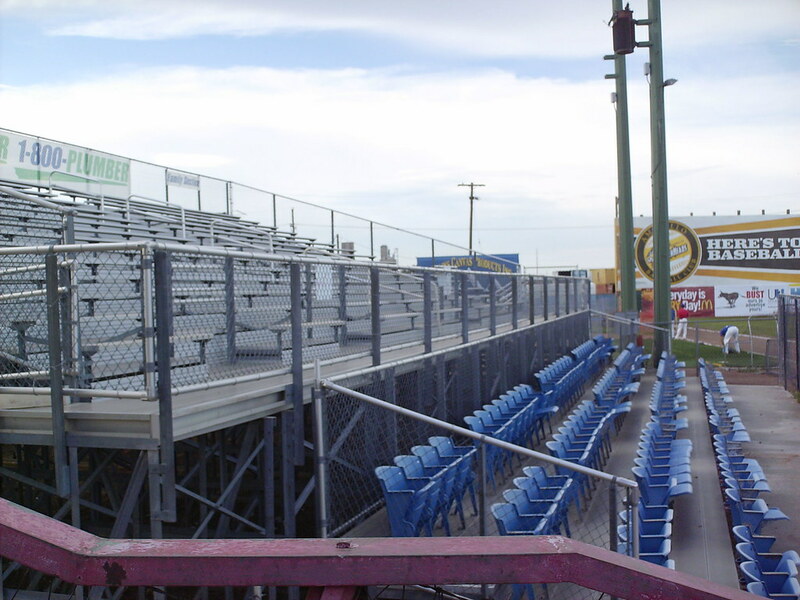 Aluminum bleacher seating in the left field corner of the field at Potter County Stadium. 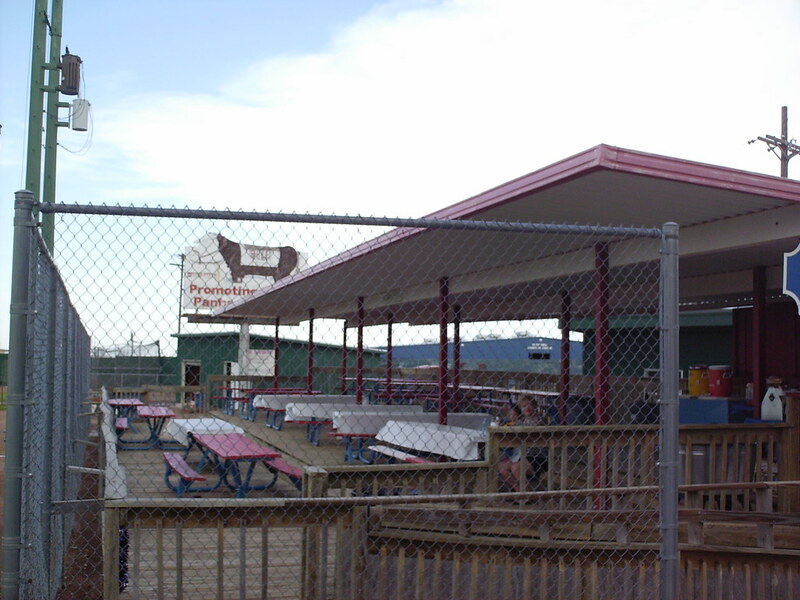 A covered picnic area sits down the first base line. 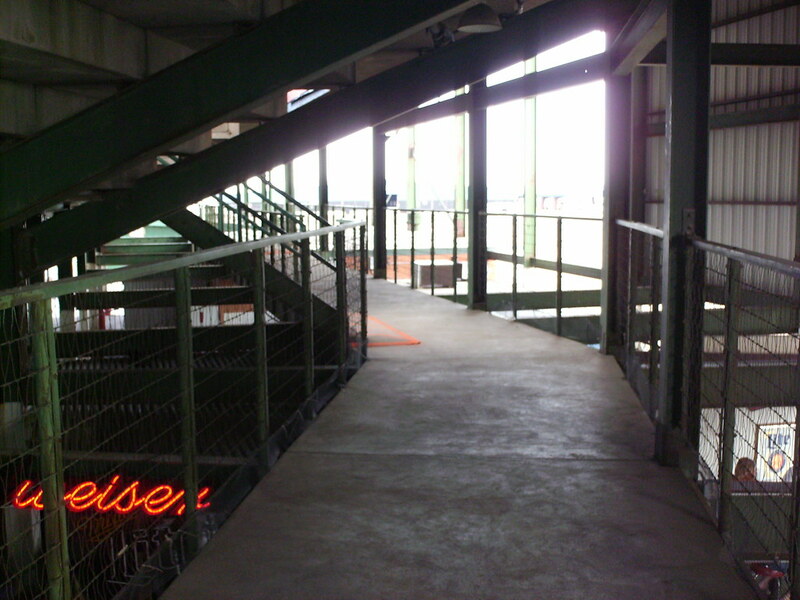 The main concourse underneath the grandstand. 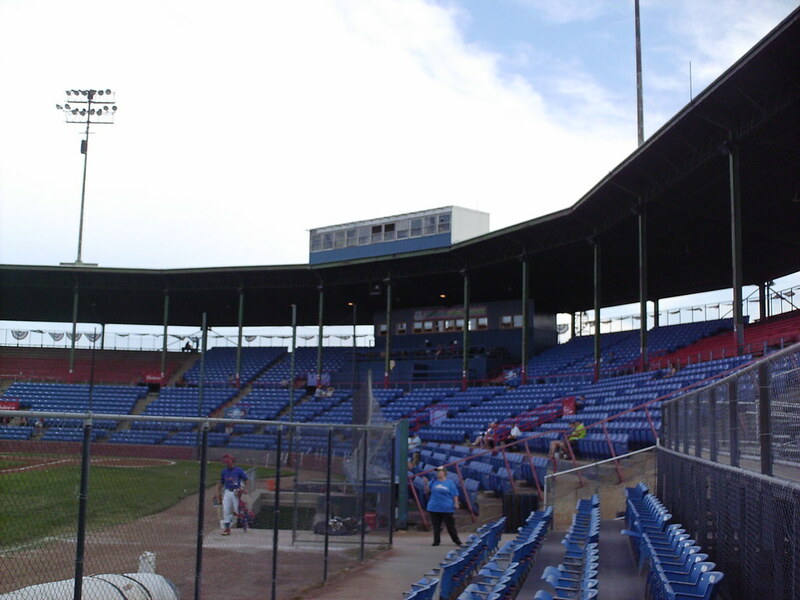 Potter County Stadium is one of the few stadiums with an upper concourse underneath the seating bowl- a concrete catwalk that runs beneath the the bleacher seating at the top of the grandstand. 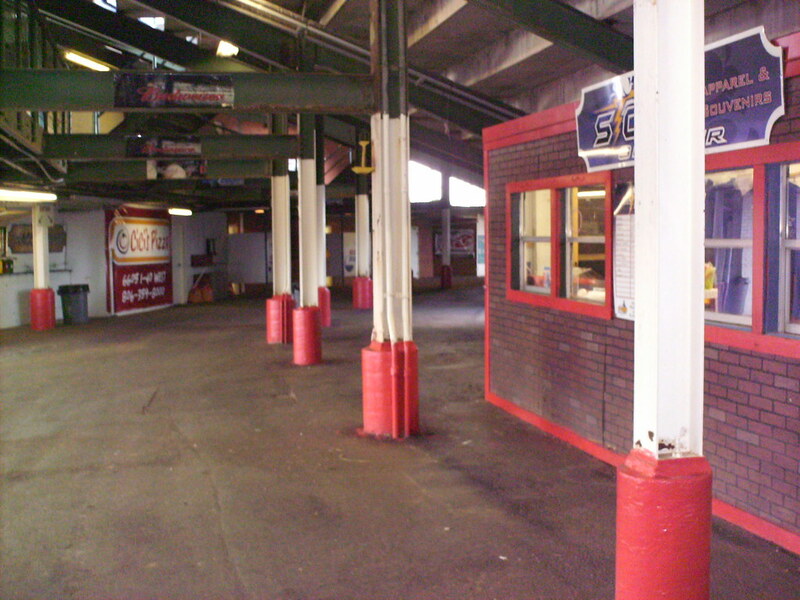 A bar area underneath the grandstand features artificial turf. 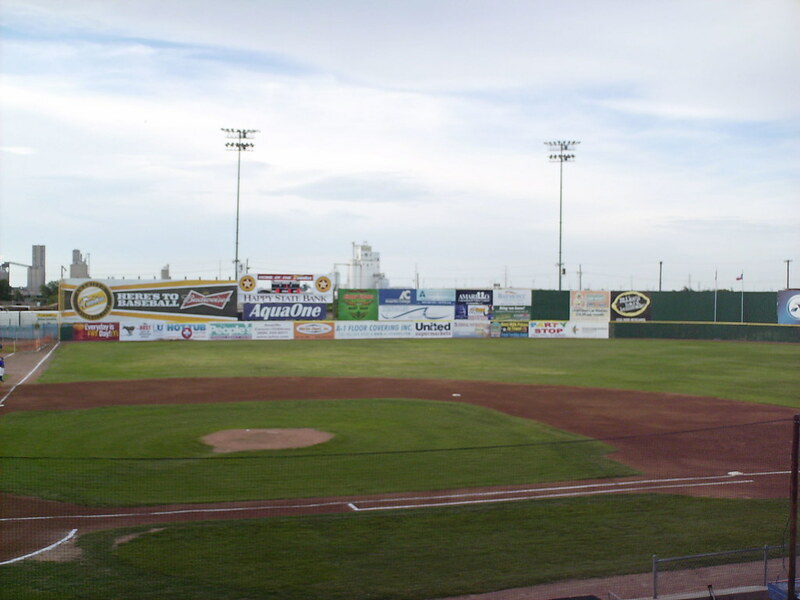 Industrial areas of Amarillo sit behind the left field fence. 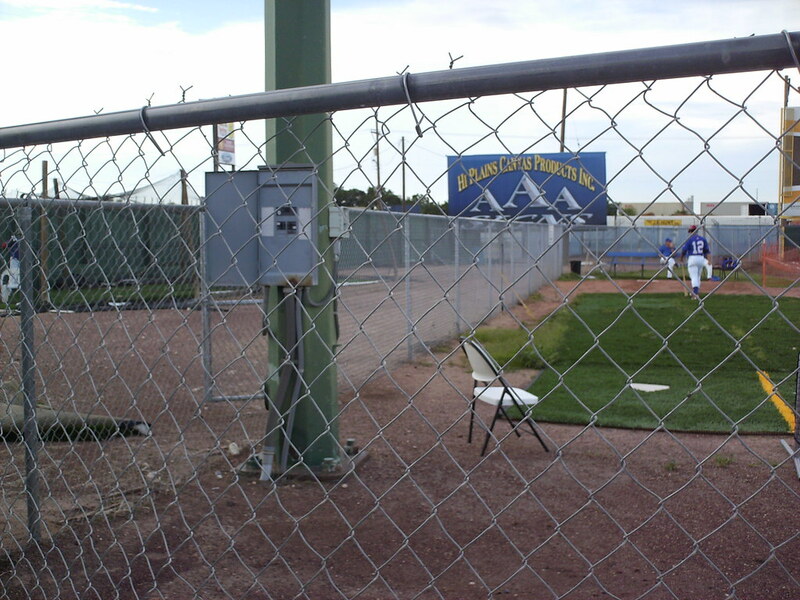 The bullpens in the left field corner of the field. 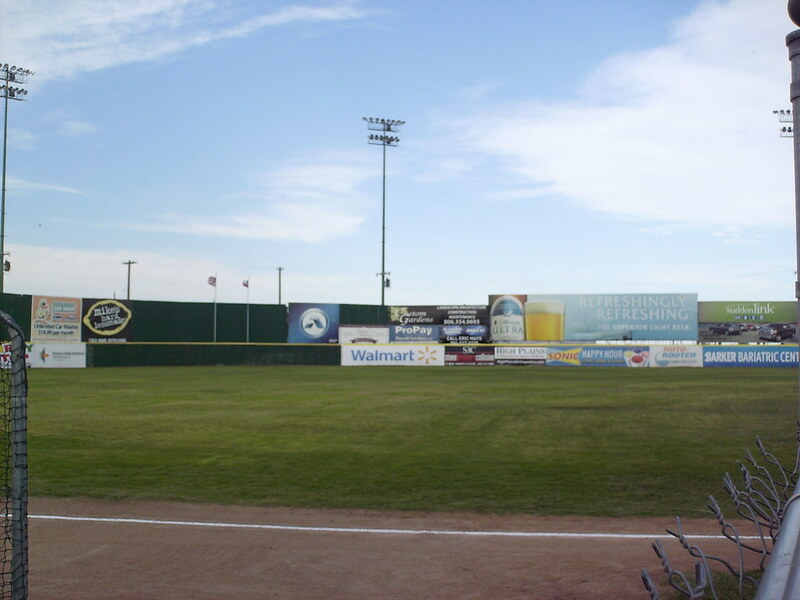 The outfield wall is a fairly uniformly curved fence, with a large wall of advertising behind it. 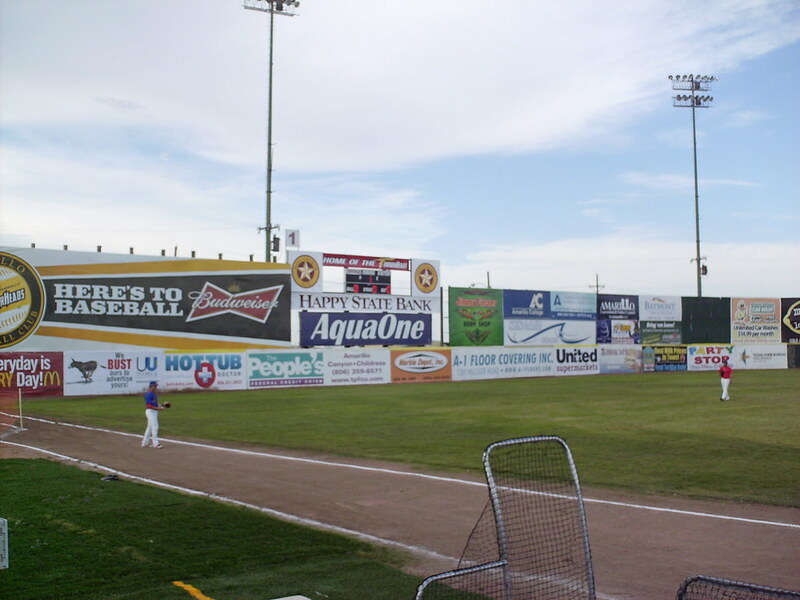 A small scoreboard is nested in the large left field wall. 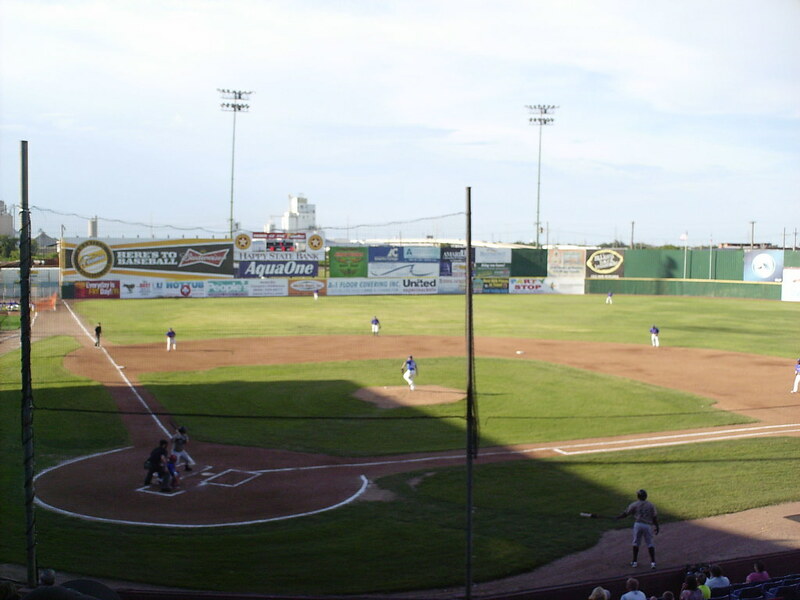 The Amarillo ThunderHeads on the field during a game at Potter County Memorial Stadium.